On 29th November, India witnessed a new Guinness Book Record created. This time, the record was not for the tallest person on the earth or maximum nos of run scored. 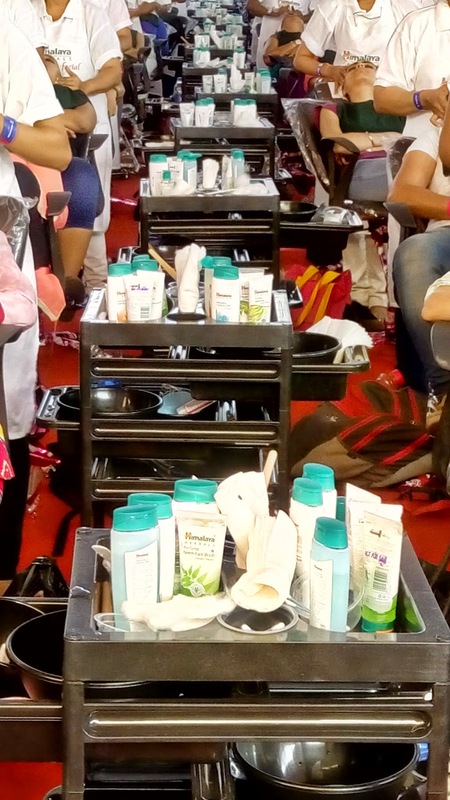 This time, the beauty and personal care industry had taken a leap of faith and shown to the world, that Indians once make up their minds, can work wonders too. Even in the field of beauty and cosmetics, we are no inferior to phoren brands. The maestro in this swan song was- Himalaya Herbals. Himalaya Herbals is one of the India's leading herbal health and personal care brand. 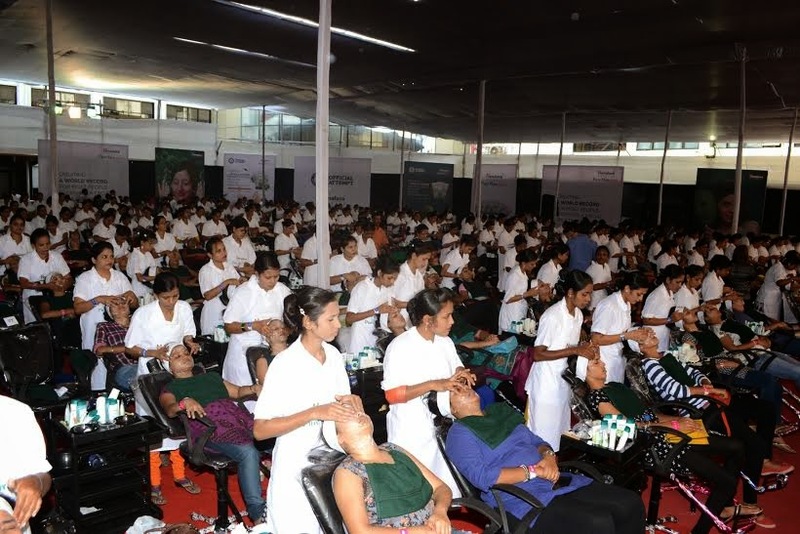 It had a super fun, trendsetting activity at the Jashoda Rang Mandir Grounds, JUHU, Mumbai, wherein the brand had set a new Guinness World Record of successfully conducting not 1, nor 5 nor 100 but total 286 facials at the same time, simultaneously at the same location. Woo Hoo it is quite a feat considering the last record [if I am not wrong was around 230 facials. 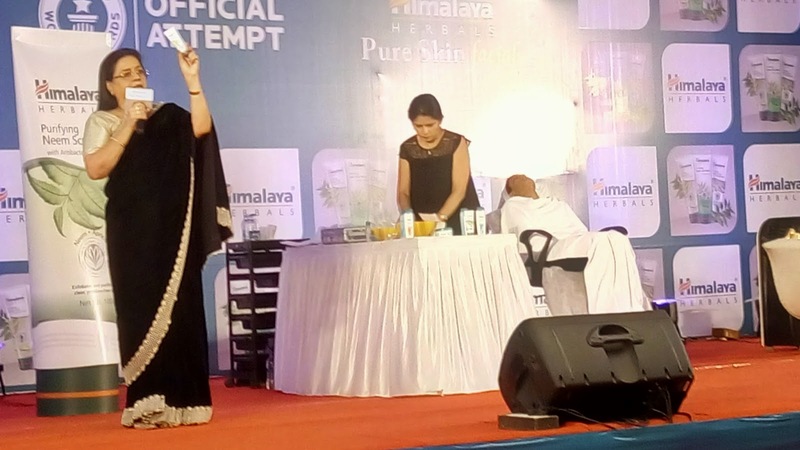 The event was very graciously hosted by and under the expert guidance of Beauty expert Veena Desai who not just conducted the overall facial ceremony but also shared ample beauty tips and tricks during the session throughout. 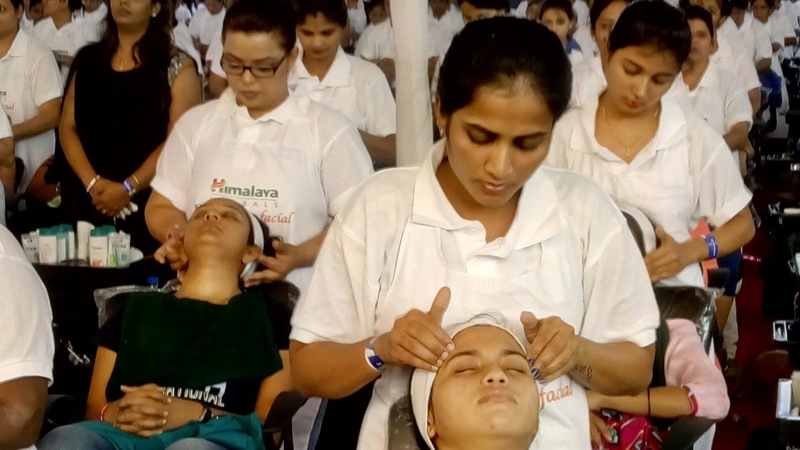 While she was instructing the facial experts and beauticians who were performing live facials on their assigned clients, she also suggested them to focus on client satisfaction, a trait that many big Salons and Beauticians miss these days. 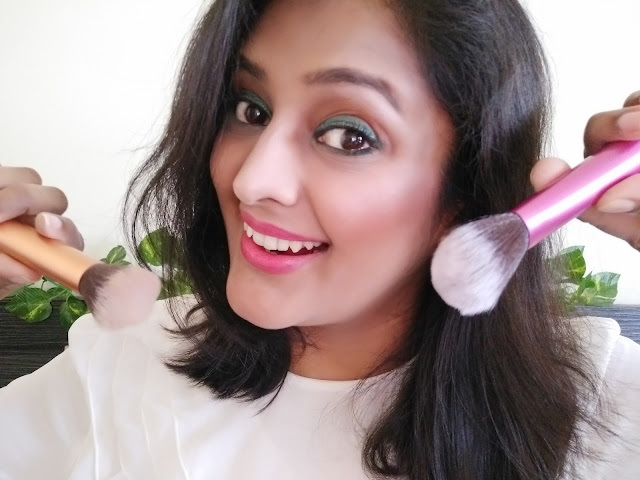 She also addresses the importance of regular and healthy skincare routine that women need to adapt at the early ages of their life. The Himalaya Products that were used for the Facials. The record-breaking session was certified by a very gorgeous and accessible Fortuna Burke, the Guinness Adjudicator. 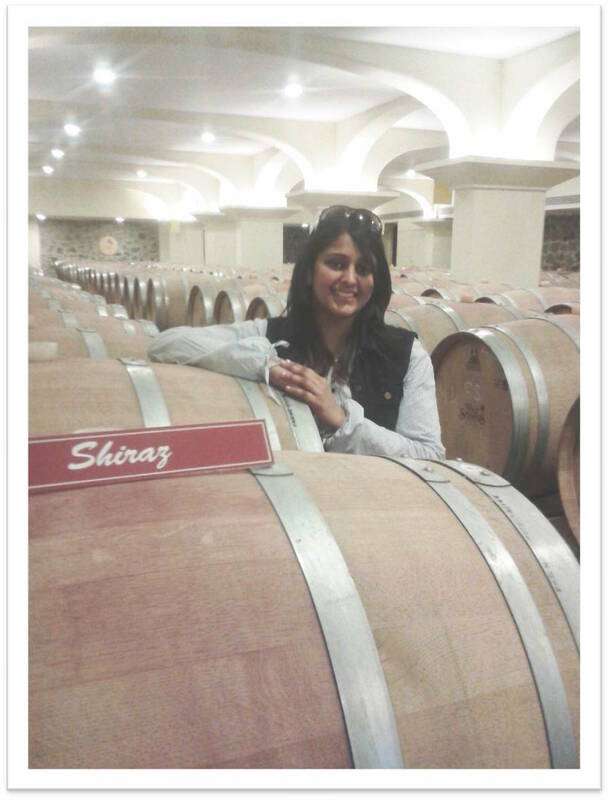 Fortuna was very excited about being in India and was looking ahead to her time in the city of Mumbai that she found quite urbane and chilled out. The final award ceremony was graced by the affable looking, a super gorgeous Shraddha Kapoor. Shraddha was a delight to watch as she was not only sporty about the whole engagement but she looked resplendent in her apt green Knee length dress. Her dress was extremely apt for the event and everyone around couldn't stop taking their eyes off her. On dressing and appearance, she scored 10/10. Being a part of a world record is so exciting! A healthy regimen must consist of cleansing, toning ,and moisturizing followed by using products that are healthy and natural. All these aspects were clearly demonstrated today. Guinness World Record! That’s very cool! 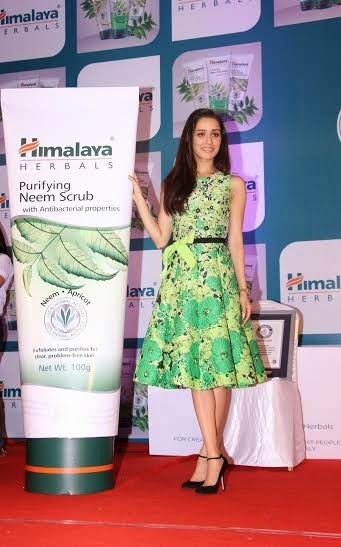 Shraddha presented the certificate from Guinness World Records to Executives of Himalaya Herbals. The event was followed by the personal interaction with PR and the digital team of Himalaya Herbal. Post discussion, the visiting bloggers, media, and journos with "Media Only" tag were treated for a lovely and delicious lunch by the Umang caterers. 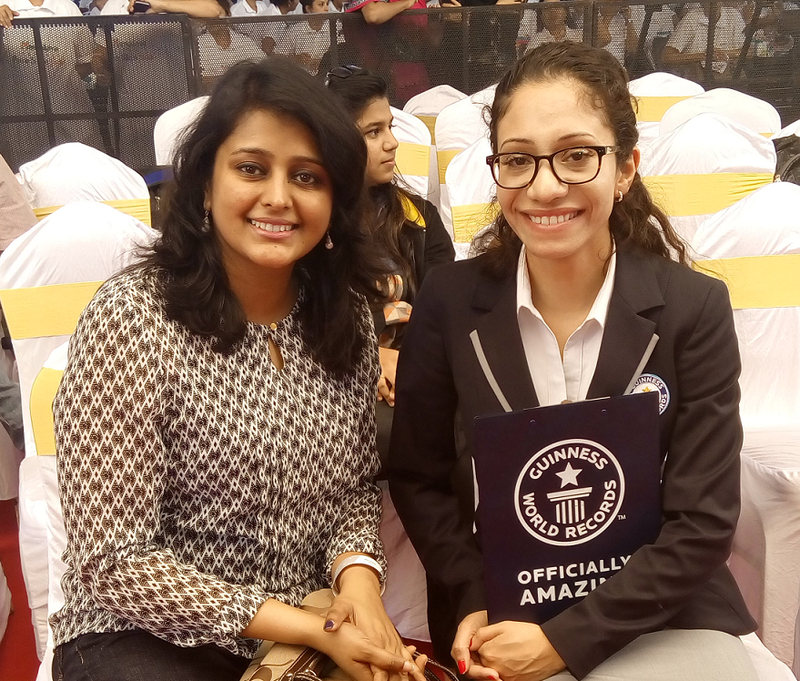 I attended the event with my friend Aarti and Meghna whom I invited to join this moment of victory that Himalaya created, making the nation proud. I must applaud the event managing media and agency for their flawless execution of a large scale event like this. It is no mean feat to gather more than 400 people and conduct such an event while trying to make a new World Record. Thank You Team Himalaya for such a lovely event and the fabulous gifts. Very well said Stacy! Love to hear more from you. Yes, it was one of its kind experience and I applaud the brand to host it and carete the record successfully. Very well managed event.